Tell us a little bit about Stone Age and why you have remained an independent business. StoneAge will celebrate its 40th anniversary next year. Our two founders started the company in Durango because of their love for the community; one is a 4th generation Durango resident, the other one grew up in Denver. John Wolgamott moved to Durango to start StoneAge with Jerry Zink in the 70’s and fell in love with the town. Their vision was to keep our headquarters in Durango and we’ve worked hard to remain here. We have received many offers to buy StoneAge from both private equity offers and competitors, but we want to remain independent because it allows us to better control our destiny. 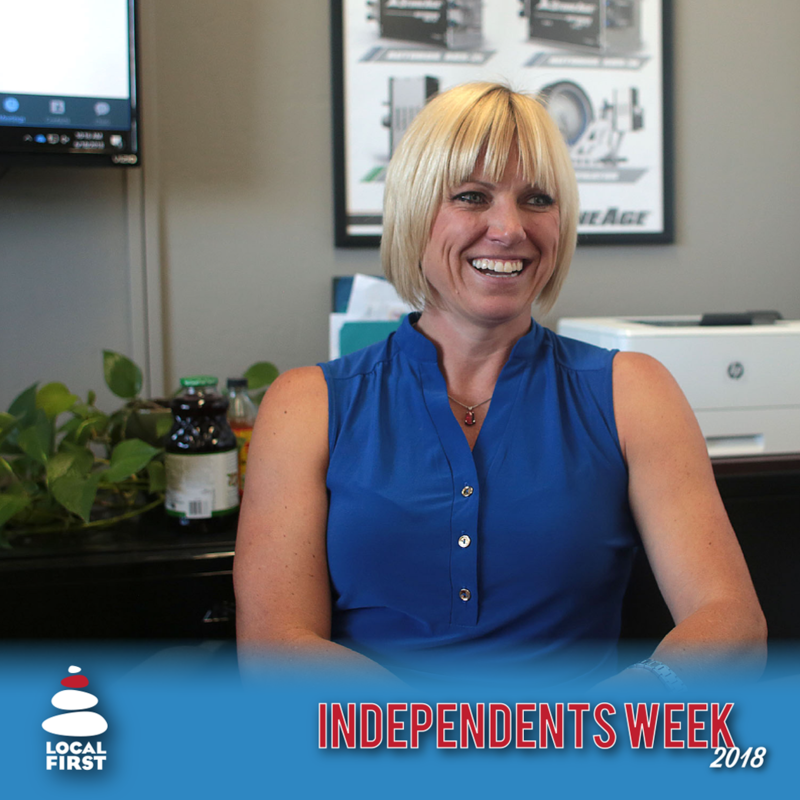 Being independent allows us to create our unique culture, control product development and give fantastic customer service. This is our secret sauce so to speak. We believe if we got involved with the bigger multinational company we wouldn’t be able to determine our own outcome. For some businesses, private equity money or selling to another company makes sense, but for us it hasn’t. Tell us a bit about your employee ownership model. About 25 years ago, John and Jerry began selling stock to their employees. Their vision was twofold: one, to generate capital without having to go get bank loans and, two it was a way for them to share in the success of the company. It was an experiment, a homegrown program, and it was very successful. As we began to buy and sell more stock every year, we got to the point where we weren’t meeting the S.E.C. (Security and Exchange Commission) safe harbor rules and in order to continue the program, we would have to register or dramatically reduce the number of employees who could buy stock. Neither of these options fit us because being S.E.C. registered is a painful and arduous process, and we also preferred to have broad ownership.The only way to do that was through a formal ESOP (Employee Stock Ownership Plan). It was a change of model for us because prior to the ESOP, employees would invest their own money into the company which gave them skin in the game. With the ESOP, shares are given out to all employees who are part of a retirement benefit and they only get access to it upon retirement. It was a shift in the model towards a retirement entitlement benefit rather than a skin-in-the-game investment benefit, but it was the only way we could ensure broader ownership of the company. We started the ESOP on January 1, 2015, and every year shares are released into each employee’s account. Every single person who is employed by the company is a part of the ESOP. Being an employee-owned company is definitely a different model. It’s very much a part of our culture. We are employee owned and we embody the “own it” mindset. Each one of us takes responsibility for driving the success of the company and the “own it” mindset is about accountability, teamwork, and showing up every day to work hard. It’s about the positive attitude that comes from the sense of being an owner, which is more than just being here for a paycheck. I think it helps with retainment and engagement and when anyone comes here to visit us they walk around and note that everyone is so happy, everyone is smiling and they ask how they might be able to to work here, too. I know the employee ownership is a big part of that. What do you think that Stone Age can offer that chains can’t? I don’t think we do anything that another company can’t do too, but when you pick apart each component of our business model, you can see that being independent allows us to have control over how fast we do things, how to slow things down, what products we want to develop, who we hire or what initiatives we choose to focus on. In Corporate America it can be very different than that. Our strategy is built on three things: product leadership, customer responsiveness, and our culture. How it all comes together is what creates StoneAge. This is why we invite everyone to Durango; we want our customers and vendors to visit us so they can see what we’re all about; they can see that we are different and that they can rely on us for the long run. We are getting ready for a big training event the week of July 9th and have an employee party on the 14th so I think we’ll be focused on the week ahead. I’ll probably do something locally and then I’ll head back to work. We’re excited to have everyone here.